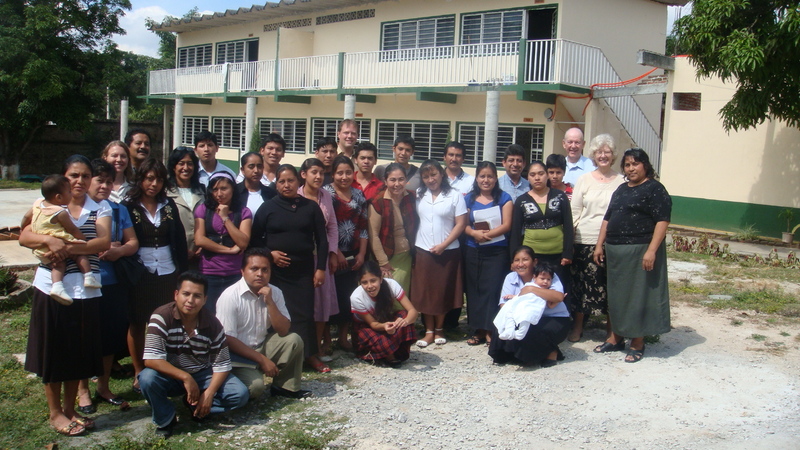 We have been working in Instituto Bíblico Nazareth in Chiapas, Mexico, for seven years. From the beginning we noticed several problem areas: low academic standards, a poor work ethic among the students, and finally, and most importantly, a great lacking in regards to knowledge of the Holy Spirit. The District Superintendent later confirmed our suspicion when he told us that only 8% of the ministers in the entire District were baptized in the Holy Spirit. During the past years we have been a part of the staff and administration at the school and have been working hard on improvements to provide quality education for the future ministers of Chiapas. It is still a bit rustic but has the potential to become a great school. A couple of years ago, we were privileged to meet Lloyd and Rozella Marsh, veteran missionaries to Bolivia, Peru and now Mexico. He shared with us the topic of a thesis he wrote on what makes a Bible School effective; his studies showed that there must be a balance of three elements: academic training, practical ministry and spiritual development. Since we have become involved in the Bible School, we have worked to raise the level of training in these areas. Academically, we have been training teachers how to teach more effectively and have encouraged them to attend ISUM. Also we have guided the process of forming a clear vision and mission statement for the school. We are also working on helping the students finish their secular education through high school if they have not already done so. Although it is very important to have high academic standards, head knowledge will only help the students to a certain extent. Without the opportunity to practice what they have learned, many of the teachings will be quickly forgotten; that is why the practical aspect of the Bible School is so crucial. Apart from working in a local church on a weekly basis during school, the internal students complete an internship for eight weeks each year in order to return to study. We try to instill in them a good work ethic by requiring them to work around the school: they learn how to cook in the kitchen, clean bathrooms, dorms and classrooms, and how to maintain the grounds of the school. We also provide work-study jobs in the library, resource center and the brick-making shop. All of this goes into forging these future ministers. From the very beginning, we had noticed that the spiritual formation of the students was weak but struggled with what to do. They did their devotions and had chapel services regularly but something was lacking. God opened the door for us to meet the Marshes, who minister in the area of the Holy Spirit, and we invited them to speak at a spiritual retreat for the Bible School. Many of the students had neither been baptized in the Holy Spirit nor seen the gifts in operation. During the Marshes’ first visit, all of the students received the baptism and several began to manifest spiritual gifts. God miraculously healed one student through a couple of the other students. The fire of Pentecost has consumed the students and is giving them a boldness and fervor like they have never experienced before. Many students are seeing for the first time the signs and wonders that they have only read about in the Bible. We continue to have one chapel service a month that is dedicated to the School of the Holy Spirit so that they can continue to be taught by Him and allow Him to lead them, which is allowing us to see the students’ growth in their ability to follow the Spirit’s leading. Two of our students who come from a Cho’l indigenous village were confronted by the powers of darkness and the witchdoctor after receiving the baptism. The Holy Spirit guided them and helped them to defeat the enemy in order to bring glory to God. The pastor Gregorio, pictured, later told us, “We know the power of Satan. Our church has been around for 30 years, but this is the first time we have seen the power of God.” Several in their church are now baptized and are listening to the Holy Spirit and being led by Him. It has transformed that church. Another student, who is a pastor, has also had a School of the Holy Spirit in her church and is seeing great changes. 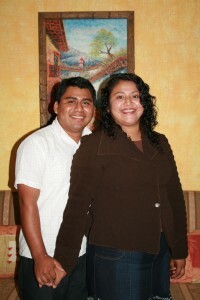 Nelly and her husband Gregorio, who are both graduates, have begun taking the Schools of the Holy Spirit to other churches as they are invited to preach, and God is touching lives and baptizing many in His Spirit. God has reminded us how important it is to be led by the Spirit and to train others. If we can instill these principals in the students and help them to develop the ability to hear the voice of the Spirit for teaching and training others, then we are truly being effective in preparing others for the work of the Lord. This simple, but many times neglected, truth must be modeled to our students if we want to see the Light reach the last corners of the earth. Many times we work so hard to improve the academic aspect of ministerial education while overlooking the essential element that gave birth to our Movement and what will sustain every minister – the Pentecostal fire. Lord, send the fire to our schools and let it burn bright! Fantastic article! Very timely, practical and a call to order concerning our emphasis on ministry in the power of the Holy Spirit. Your words encourage us to always seek that balance. I’ll hae to connect with Lloyd Marsh to ask him about that paper. Thanks for showing how true spiritual renewal and academic preparation do not have to be enemies but rather wonderful friends that together can glorify God. You are doing an excellent work in Chiapas! 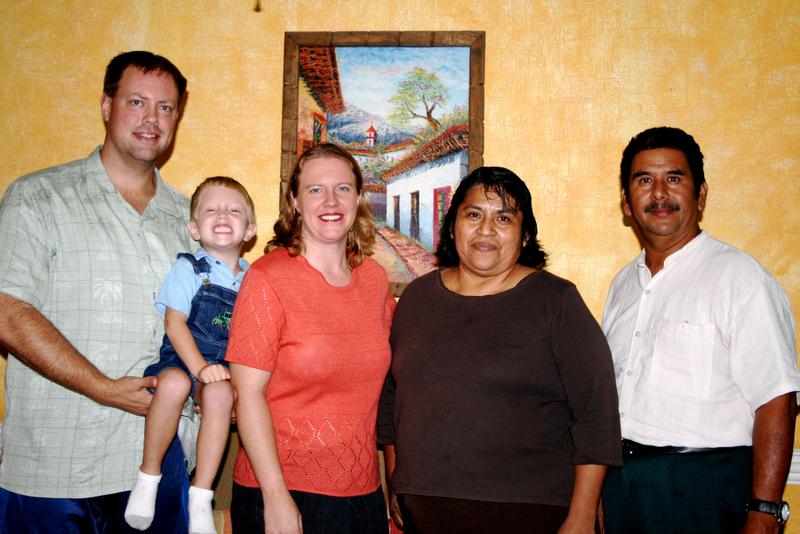 Our deepest respect to Lloyd and Rozella Marsh as they spread Pentecost throughout Mexico! Jason & Roberta, you hit the KEY TO OUR MISSION in ministerial education, then, you hammered it home by showing it at work in a tough part of the world! Absolutely correct: it was Pentecostal FIRE that birthed our movement and brought us to where we are today. Only Pentecostal FIRE will keep us progressing. Academic excellence is an indispensable tool that must always be secondary to the PRESENCE and POWER of the Holy Spirit at work in our classrooms and our lives as faculty and students. Thanks for helping me stay focused.